a free festival Comprised of a variety of events over three days, the Victory Day Celebration Weekend is a family friendly event that both celebrates our history and supports our future. *All activities and events are free of charge! BISHOP UNDURDOG - ZUNI PUEBLO HIP-HOP ARTIST * ANTHONY SUL - OHLONE MUSIC ARTIST * PRESTON JOHNSON - DINE FRONTLINE FOLK ARTIST AND SAVAGE FAMILY * DAVIDICA - LAKOTA ALTERNATIVE ROCK ARTIST & UNCOMMON KNOWLEDGE - LAKOTA HEAVY METAL BAND * Rapid City's High Rise at 9pm * Dj Kelly Kellz before and after High Rise. Travel east on hwy 44 to Scenic, South Dakota. Travel south through Scenic, on Pennington County Road (Bia 27) to BIA 33 (just before you reach the Oglala Lakota College). Turn right (south) just before the school, toward Manderson. Just past the school, turn left (East) and stay on the paved road (BIA 33). Travel for approximately 11 miles, past the old white church and Singing Horse Trading Post. 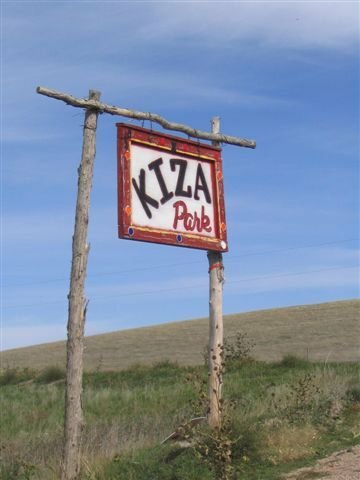 Watch for the Kiza Park sign on the right hand side of the road.